As a child I wished that magic was real. I longed to be magical — to befriend the birds, stones, and trees, to wield the wind and make secret potions with plants, to speak certain words to enter another realm. 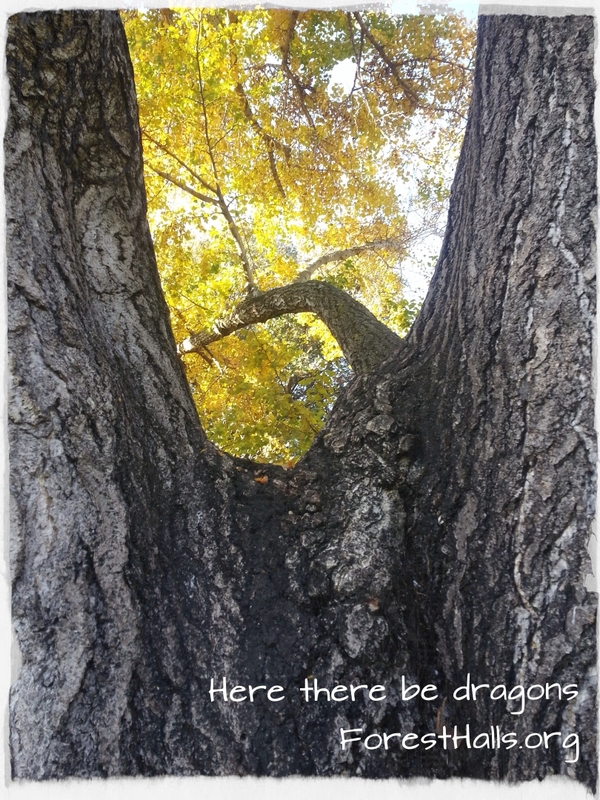 I longed to know that, near at hand, the dragons and the Fair Folk are alive and well, and that they are ready to fly us into the true heart of the world. In my search for such a life, I have discovered that indeed magic is real, and that many paths lead to this fun and sense of wonder. In Forest Halls, I share enchanted fun and earth-rooted healing ways to help families, children, and creative- and community-minded folk to connect with their unique nature, each other, the natural world, and joyful mystery . Here are some paths through Forest Halls. Which one calls to you? Storytelling – I tell stories accompanied by harp, and perform at events in schools, libraries, and other locations. I also teach harp and storytelling if you want to learn! 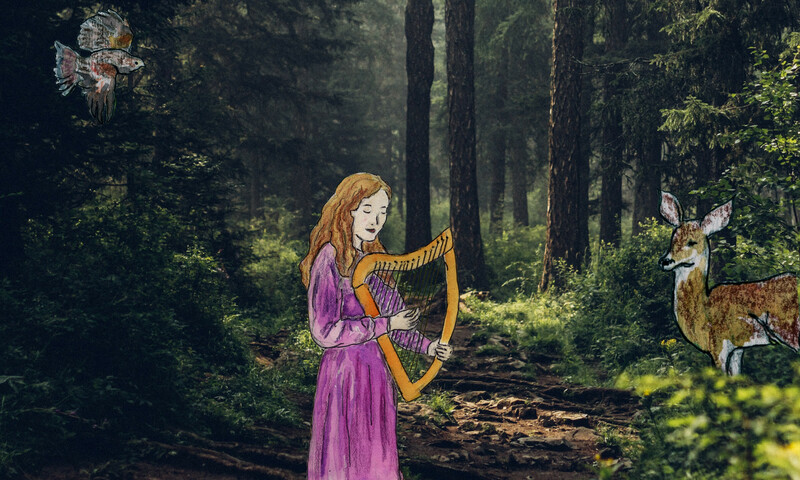 Harp Playing — The harp is a musical instrument with a beautiful voice and a mythical history. I offer harp lessons and can help you develop a fun, relaxed playing style that allows you to express the music you love. Herbal Education – Learn about the ancient practice of herbalism, and discover the gifts plants have to offer. Become friends with the plants! Healing Sessions – Visit Singing Deer Healing for details. You can visit my blog here. I also write a free ezine, Acorn To Oak.